Sometimes we don’t realise the importance of a person, thing or even at times of a place we are in or with, until we move on in our lives and often recollect to find some unseen truth that gets etched in our hearts forever. Just like any other city, Bhubaneswar has always been taken for granted, sadly in most cases, by its own residents. The people often complain, judge and even completely loathe this fastidious city for petty reasons such as absence of Mc Donalds, PVR or even for some non-deliverable location for some online shopping app. We too, have once or more whined about the potholes in the roads or for the slow traffic when we were horribly late for office. So, for that Bhubaneswarite in you, which has been silent since a long time, this is the ultimate redemption. A concept basically originated after the Second World War in 1947, it was intended to foster friendship and understanding between different cultures and strategic international business links between member cities. Bhubaneswar happens to be the only Indian city to be connected to Cupertino, its other sister cities namely Hsinchu (Taiwan), Toyokawa (Japan) & Copertino (Italy). Well, so we have friends in reality across the globe who share the same good vibes and wishes well about this city! Straight from the horses’ mouth, the city has an astounding literacy rate of 93.15%, breaking all the bars of the rates which no other city has even come close to yet. Another pleasing fact is the literacy rate is 90.26% among females in the city which again itself is another milestone for other cities to look up to. With around 25 premium government institutions namely IIT-Bhu, IOP, IOMA, NISER, NIFT, IIIT-Bhu, XIMB, CIPET, RMRC, CIFA, CET, etc and even more imperial institutions in the city namely KIIT University & S’o’A University, Bhubaneswar comprises around 60% youth population, mostly students. The commoners too understand languages like Hindi & English, apart from Oriya, which makes this city even more friendlier to any outsider visiting the city for the first time. The next time you have double minds on choosing an institute, remember no other city can provide you so many choices at one place together! 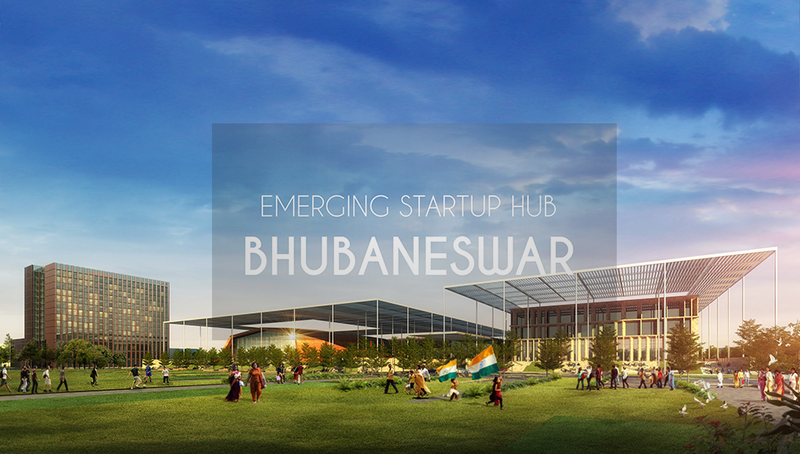 From 2000, 2011, 2014 Bhubaneswar has back-to-back been in the top of the heap in the most desired city to have investment in the corporate sector currently in India. Based on the reports by World Bank, Cushman & Wakefield, the factors considered were the city demographics, physical, social, real estate information, current level, scope of economic activities and Government support. Which means the people in Bhubaneswar has 10-20 times more chances of international exposure in business and economic initials when compared to the other cities in the country. Not bad, eh? The city has been a pleasant home to the tech giants in the country like Tech Mahindra, Infosys since 1996 and now has been the hub for many IT/ITES companies like TCS, Mindfire, Wipro, IBM, Mindtree and various other Telecommunication Gamechangers like Ericsson, BSNL, Reliance Communications, too. This city also has an Infocity with latest architectural designs and many future venture and blueprints to house these organisations offices, that could even give the Infocity at Bangalore loads to envy about! Well, now coming to the accolades and recognition Bhubaneswar has earned because of its cleanliness, greenery and smartness both in the city and by its citizens in practice. Voted as Rank 1 in the smartest city to be, having complete smart solutions for Transit, Accommodation and Corporate & Industry levels, somehow the credit for all this goes back to that German architect Otto H. Koeingsberges, who wanted a city with wide roads and lots of beautiful gardens and designed it accordingly. Kudos to you Sire, on starting the process of making Bhubaneswar stand out amongst other cities as early as the 1940s! Like what you read? Hit that ‘Like’ button to let us know. Also, share your thoughts on how Bhubaneswar is amazing to you in the ‘Comment’ section below. Till then, fly that Bhubaneswar flag high fellas! Now more proud to be a Bhubaneswarian..some facts i nevr knew..nw i cn say i knwm.do come up vt such amazing facts. It’s also amazing that only Bhubaneswar (all over India) has a twin city and at the same time an international sister city that keeps the ball rolling for many things in Bhubaneswar…be it for international guests in the city or international events getting organised.